Last weekend at Xbox X018, Microsoft detailed its future plans for its expansive online game service, Xbox Game Pass. In addition to titles like Hellblade: Senua’s Sacrifice coming soon, the Xbox Game Pass app is now available on mobile devices, which will let you queue downloads from your phone. 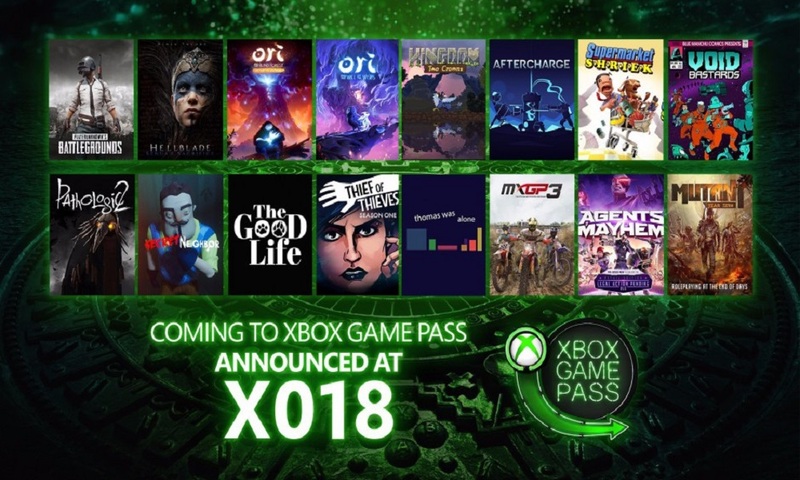 We are also excited to bring unique gaming experiences like Ori and the Blind Forest, Kingdom Two Crowns and Hellblade: Senua’s Sacrifice to Xbox Game Pass this December and we announced additional new games from independent developers launching through the [email protected] program that will come to Xbox Game Pass the day they debut on Xbox One. Starting this holiday, this list includes Aftercharge, Supermarket Shriek, Mutant Year Zero, Pathologic 2, The Good Life, Void Bastards, and Secret Neighbor. Furthermore, we confirmed Ori and the Will of the Wisps will be available in Xbox Game Pass timed to its global release on Xbox One and Windows 10 PC in 2019. And if all that isn’t enough to whet your Xbox Game Pass appetite, we also have an exciting offer you don’t want to miss. Starting today through January 3, you can sign up for Xbox Game Pass and receive your first full month for just $1. With a growing catalog of over 100 great games and new titles added every month, now has never been a better time to become an Xbox Game Pass member.